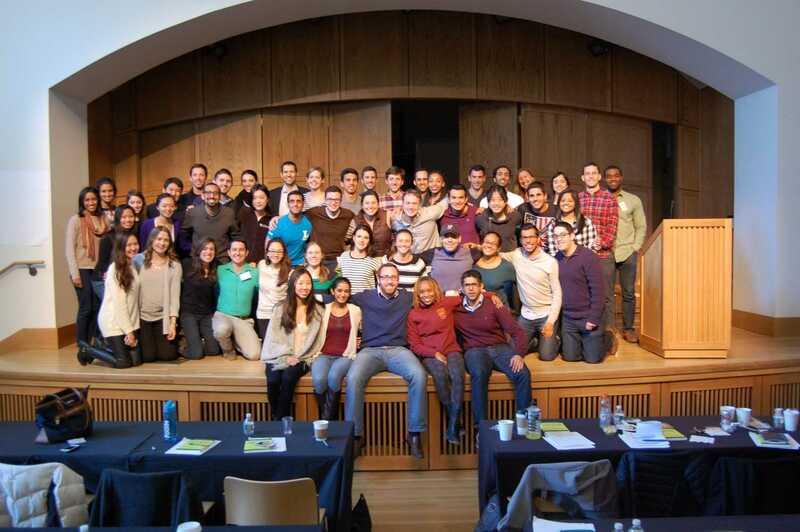 McNulty Leadership Program fellowships provide intensive, year-long experiences designed to provide development through action and reflection in service roles within the Wharton, university, Philadelphia, and global communities. Leadership Fellows act as coaches and mentors for the incoming class. Fellows are open to and invested in learning, and are committed to serving others and the community. Leadership Fellows are charged with providing every first year student the opportunity to enhance their leadership potential through the development of practical tools and concrete strategies applicable in every area of their lives. In addition to coaching first years, Leadership Fellows also mentor, support, and facilitate the Learning Team formation process and serve as team process consultants throughout the first year. Class of 2020 William P. Lauder Wharton Leadership Fellows Applications will open on December 3rd and close on January 4th. We welcome you to learn more about our Program and the Application Process. Venture Fellows are second-year MBA students who create an environment for individual and team leadership development on a specific Leadership Venture. Wharton Leadership Ventures invites you to apply to become a Venture Fellow. Serving as a Venture Fellow is an incredibly rewarding experience with the opportunity to further develop as a leader and facilitate the leadership development of venture participants. Venture Applications open in February each year and interviews are scheduled in late March. Service begins in the following year. Nonprofit Board Fellows serve as “Visiting Board Members” gaining valuable board experience while supporting the mission of the partner organization. The Nonprofit Board Fellowship matches Wharton MBA and Penn Law JD students with Philadelphia’s nonprofit organizations. The NBF provides a unique opportunity for Philadelphia-area nonprofit boards to connect with the University of Pennsylvania, and for students enrolled in select graduate programs at Penn to get involved in the Philadelphia community. Information sessions are held in November, applications are due in late December, interviews are in January/February, and decisions are announced in March. Lipman Fellows help with analysis and review of global organizations for the Lipman Prize. The Barry & Marie Lipman Family Prize is an annual global prize recognizing organizations for leadership and innovation in the social sector with an emphasis on impact and transferability of practices. The Lipman Family Prize Fellows help plan and execute elements of the award process. Fellows, recruited from various schools at Penn at the graduate level, review applications, analyze data, prepare materials for the Prize Committee and attend the awards ceremony where the winner is announced. 16 Fellows participate for a full academic year between October and May. Applications open at the start of the Fall semester.